This is a small alchemical treatise in graphical form based on the components of the game Minecraft. First posted by Denis Moskowitz on March 24, 2011. Last modified on March 25, 2011. 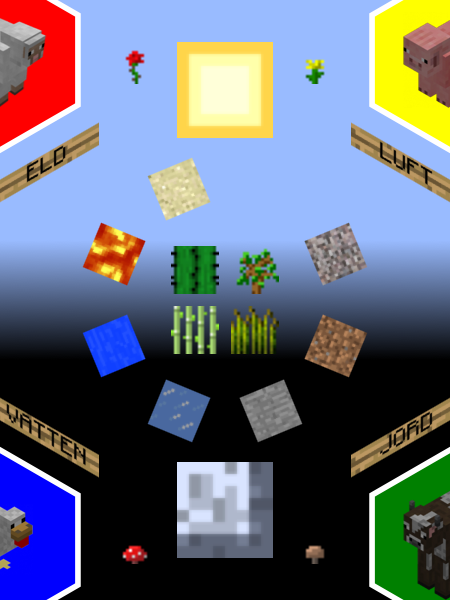 Images from Minecraft and the Minecraft Wiki.